The author discusses the commonalities of Southern and Italian stories and how we hunger for books as sustenance. Written with Frances Mayes’s trademark warmth, heart, and delicious descriptions of place, food, and friendship, Women in Sunlight is the story of four American strangers who bond in Italy and change their lives over the course of an exceptional year. Kit Raine, an American living in Tuscany, is working on a biography of her close friend, a complex woman who continues to cast a shadow on Kit’s own life. Her work is waylaid by the arrival of three women—Julia, Camille, and Susan—all of whom have launched a recent, spontaneous friendship that will redirect their lives. Susan, the most adventurous, has enticed them to subvert expectations of staid retirement by taking a lease on a beautiful house in Tuscany. Although novices in a foreign culture, their adventurousness imbues each with a bright sense of bravery, gusto for life, and a fierce determination to thrive. With Kit’s friendship and guidance, the three friends launch themselves into Italian life, pursuing passions long-forgotten—and with drastic, unforeseeable results. 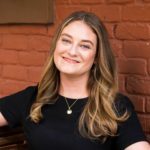 Recently, Frances spoke with Read It Forward’s Abbe Wright about the nuances of writing fiction and nonfiction, which books are narrative portals for her, and how she feels part of a vast, nomadic community of women. Read It Forward: Frances, you’re amazingly prolific as an author. How was writing Women in Sunlight different from your experience writing other nonfiction works? 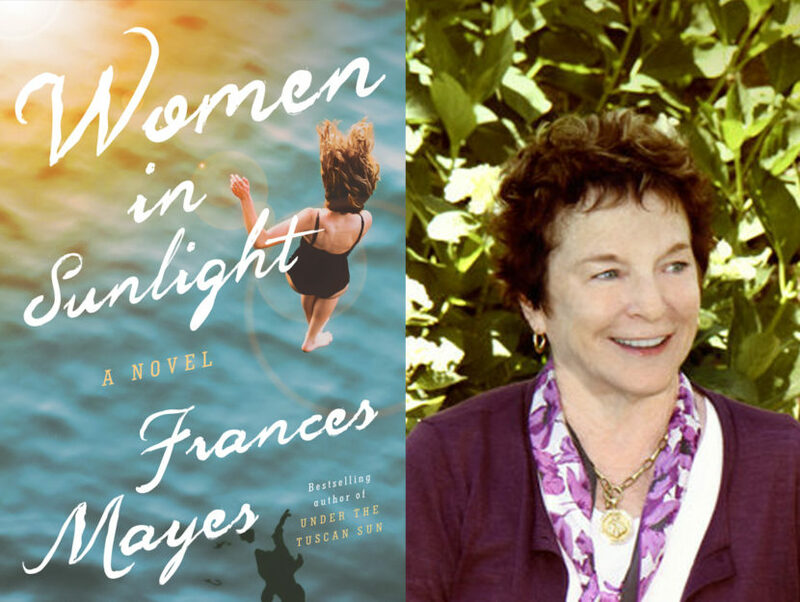 Frances Mayes: Fiction, nonfiction, the whole difference to me is voice. I love writing in the first person; I think it’s so intimate with the reader that you can’t help but respond to it. Whereas in Women in Sunlight, I was able to use partly an I voice, but also the omniscient voice, which gives you a different set of possibilities. Using both I and the omniscient was really freeing structurally. That was the main difference, I think. The other thing is with writing nonfiction, you don’t have to make anything up. It’s not inventing in that way. But the odd thing is you have to make so many choices, and so many omissions, and where you throw your emphasis or not. In a way, it becomes kind of a fiction because you’ve had to leave so much out, so in that way, they’re similar. RIF: Right. Is there any part of this novel that’s autobiographical, or connected to your real life? FM: I haven’t a lot of experience writing novels. I’ve only written one other. In both of mine, they are very autobiographical, but in the long-run, totally fiction. It’s like little bits of tessellated mosaic. You find all these bits that are true from your own life or experience, and the way you arrange them becomes fiction, but the base of them is often autobiographical. Then, of course, you just spin out into your imagination, so it’s kind of a combination. RIF: Why did you choose to set this book in Italy? I mean, it’s really where we know you, but what about the country do you love so much? That transferred from the South to Italy for me, so it seems natural. This new book is set partly in North Carolina where I live, and partly in Italy. But it’s an inexhaustible country, and I think I’ll be mining the variety of it for the rest of my life as a writer. RIF: How do you feel about the wave of self-exploratory travel that burst onto the scene after the publication of Under the Tuscan Sun? Do you credit the book at all with women traveling, finding, and stretching themselves, and leading to things like Eat Pray Love? FM: Absolutely. I think the genesis of the book was seeing other women come to my town, scribbling on a notebook or sketchpad, or leaning on a bicycle and looking around. I see these women, and I know what they’re doing there; I know they’re not just casual travelers. They’re looking for something important to their lives, looking for change. They’re ready for something else. I feel kind of a community with those women because I’ve been there, too. I wanted to tell their story, what might be happening to them, projecting my own imagination onto how they’re going forward. By the time I got to the end of the book, I felt like my three Southern women I’d transported to Italy in order to give them new, late-life choices. I felt like they were ready to bloom, and then they went to Italy. Not that they went to Italy, and then found what it took. It’s more a chicken and egg thing backwards, but it seemed to me that it might be that way; that you go there when you’re ready for something. RIF: I love that. In your writing, in what ways are you subverting society’s expectations of women in retirement age? Your books are all about the possibility of change at any age, which feels really hopeful. FM: I feel very hopeful. I think, as I’ve gotten older, life has continued to open new things. But I know the message you start getting once you turn 60 is, time to downsize. Time to declutter or to retire, to begin to worry about your health, to disappear. Your shelf life’s up. You get that kind of message from this society, and it’s not that hidden, either. To me it’s foolish, because when you retire at 60, you may have 35 more years. You’d better think of something fun to do to than just curl up your toes and go into a retirement. Those active-lifestyle retirement communities, which my three characters were investigating because they were feeling the stream of things moving them toward that kind of destiny—they meet at an orientation for one of these nice communities, and quickly decide it’s not for them. FM: They want to do something different. RIF: And they end up renting a house near our other protagonist, and the book goes from there. FM: Yes. The other protagonist is a younger woman, and she becomes fascinated by these women who are pulling themselves into the sunlight, hence the title, Women in Sunlight. They’re pulling themselves forward, becoming the people they wanted to be before life happened to them, before they were off track, and before they became mothers and made many choices that led them away from the people they wanted to be. For older life, there are so many endings, and I wanted to give these women new beginnings. RIF: On the first page of Women in Sunlight, you write, “A book can be a portal,” which is a line that I love and completely agree with. Which books have been portals for you? Where has literature taken you, or allowed you, to travel? FM: Oh, so many, so many. One of the early ones for me was Freya Stark, the great travel writer who went into Assyria, and Persia, and modern-day Iraq, and all kinds of forbidden places women had never been. I read her books, and I thought, “Ah, you can do that?” You can do that. And others, like Lawrence Durrell and D. H. Lawrence, were early travelers who made me want to light a match in my shoe and go. I still find so many books about place to be particularly powerful for me, like Orhan Parmuk’s Istanbul. As soon as I read that, I was off to Istanbul. Those kinds of portals are tangible, but there are others, like my old favorite writer, Eudora Welty. She’s a Southerner, and she’s my territory. But when I read her, I had new visions of the South, and it became an inner-type portal for me. So many of the Southern writers are like that, but I think Eudora Welty was in particular. Also, Neruda, his poetry was a different kind of poetry than most I’d read. Same with an opposite kind of writer, like John Dunn. So many different kinds of portals. Not just one that puts me on the road, but one where you can really experience the interior. Even learning about writing, authors like Colette and Keats were really important to me when I was starting out writing because they’re so fabulously imagistic. And I learned from them; I said, “How did they do this? How does he make me feel like I’m right down there in the eve of Saint Agnes so many years ago, or Colette in Paris in the last century?” Those kinds of books, you read to enjoy. But then you read them again to think, “How did they do that? What is the structure? What kind of sensory imagery, what tactile energy is in it?” Just so, so many portals. RIF: Oh, I have chills just listening to you. Reading Women in Sunlight made me hungry—there are such delicious descriptions of food on the page. Are you a foodie? FM: Oh, I’m afraid so. When I first went to Italy, I thought to myself, “These people are obsessed. They don’t think of anything but food.” Now, I’m like that. RIF: Do you think there’s a connection between nurturing yourself with food or with books and writing? FM: Yes. Both feed hungers, intense hungers. One is mind, and one is body, but there are many ways those cross over. So, I think best is to have a wonderful dinner alone while you’re reading a book, you know? RIF: It’s just perfect; the best of both worlds. Thank you again, Frances. 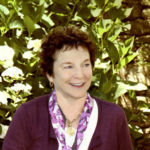 FRANCES MAYES is the author of four books about Tuscany, including the now-classic Under the Tuscan Sun, which was a New York Times bestseller for more than two and a half years and became a Touchstone movie starring Diane Lane. It was followed by Bella Tuscany and two illustrated books, In Tuscany and Bringing Tuscany Home. She is also the author of the novel, Swan, six books of poetry, and The Discovery of Poetry. Her books have been translated into more than twenty languages.